It’s been a good while since I’ve posted here. Just been so damn busy with a lot of different things, but I wanted to be sure and get an article up highlighting the latest goings-on with the channel. Let’s start with the main Replay Ability content: our most recent Let’s Plays with commentary! The most recent round of LPs has been conducted by myself and Tron, as Patrick has been quite busy lately. 1) StarTropics (NES) – This is one of my absolute favourite games, and I actually wound up taking the reins on this whole LP while Tron provided commentary. I know the game pretty well from playing it over and over throughout my life, and managed to have a pretty smooth playthrough…a no-death run, in fact! Add in the random commentary topics and you’ve got yourself a pretty darn solid video set! The first episode is below, and you can go to the entire 7-part playlist by clicking here! 2) GoldenEye (Nintendo 64) – GoldenEye just had to be completed on the channel at some point, right? This classic FPS was a blast to run through again. Tron and I only played through on Agent, for the sake of just having a fun time, and despite a few mishaps in a couple of stages, the LP was pretty stress-free! Be sure to check it out if you’re a fan of this staple of the N64 library. Click here for the 7-part playlist! 3) Wild Guns (SNES) – We wrapped up our most recent recording weekend with an awesome 2-player co-op blastathon: Wild Guns! This cartridge is one of the crown jewels of my collection, and also just an incredibly fun game. If you like the wild west AND giant robots with chainguns/rocket launchers, this game is for you! Only two parts in this playlist, so it’s a quick LP…but a damn fun one! Plus, it’s the game that our intro riff comes from! The more you know! 4) Chip ‘N Dale: Rescue Rangers featuring Lumpz the Clown!! 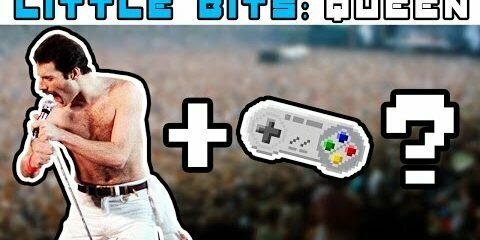 The first collaborative LP on our channel, co-hosted by the nefarious Lumpz who slinks around this very website and posts insanely good techie material! He and I played this one over the Internet using a program called Kaillera…which may or may not be the main antagonist during our playthrough! It’s only a 2-parter, and we don’t wind up finishing it due to connectivity issues, but it’s a damn fun time so be sure to check it out! There have been a few more LPs as well, so be sure to stop by our channel and check out all of our most recent (burnt) offerings! Oh, we finally finished Resident Evil 4 as well! That’s been a year-long LP, so it’s been great to polish that one off!! This is a brand new feature rolling out from Replay Ability! It’s a Top 10 List series, and for our first set of W10 entries, Tron and I discussed our favourite weaponry from video games ranging from 1985-2000. Modern weapons will be coming up soon as well! Be sure to check out the first episode below! 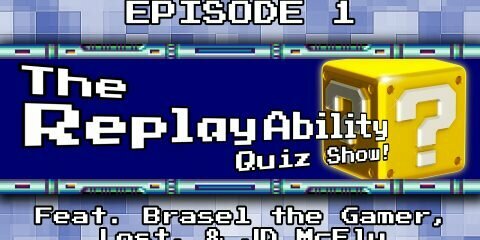 The Replay Ability Stream Show! Every so often, I do my best to stream. I really enjoy hanging out with the gaming community over the magic of the Internet, whether it be while streaming the newest releases, my latest retro pick-ups, or some heated Smash Bros. For Glory matches. The people who come to hang out are the best part of it all, so a big thank you to everyone who manages to make it out when I host a stream! If you haven’t caught the Stream Show at all recently, be sure to bookmark our Twitch channel! Recently, a game came out called Axiom Verge. If you haven’t checked it out, TRUST ME WHEN I SAY YOU ARE A FOOL. It’s an open-ended sidescroller that has roots deeply-planted in Metroid, with splashes of Contra, Bionic Commando, and various other masterpieces from the golden age. I’ve completed the game, and have started posting the entire runthrough on our channel. The first episode is just below, and the ongoing playlist can be found here! Retro Challenges: Super Cheapskate Bros.! 1) You get 3 lives. Once 3 lives are done, the challenge is over. 2) You can’t touch a single coin. As soon as a coin is collected, the challenge is over. 4) Warp Zones are NOT allowed. Get as far as you can! If you record an attempt, be sure to let me know and I’ll add it to the Super Cheapskate Bros. playlist! A ton of retro gamers have given it a shot! Below is my best run at it, which I transferred to YouTube from the RA Stream Show. That’s it for now, everyone! It’s been a damn long post, but there’s a lot of material here to watch that should suit your fancy! Whether you’re into game pickups, Top 10 lists, challenges, or LPs with stupid commentary, remember that Replay Ability has you covered! If you like the sound of that list, be sure to drop by our channel and subscribe! There are TONS of LPs to sift through as well, so I’m sure we’ve played something that’ll strike that nostalgic nerve, tense up your muscles, or make you bust a gut laughing at our dumb antics! Take it easy everyone, and hopefully I’ll be able to post a little bit more frequently in the near future!